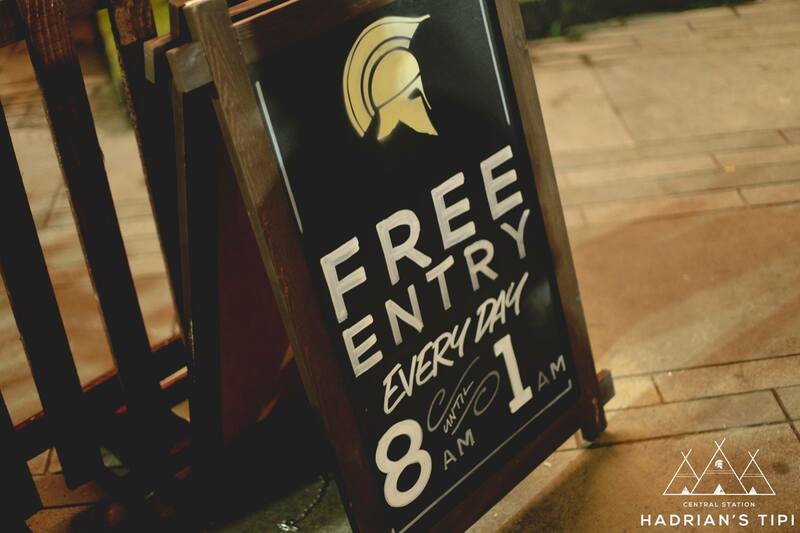 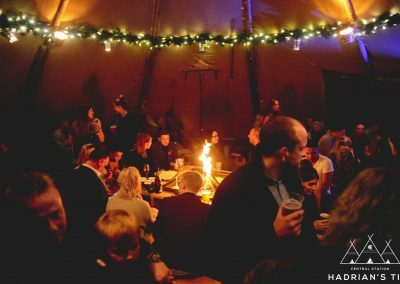 YOUR MUCH LOVED TIPI IS BACK! 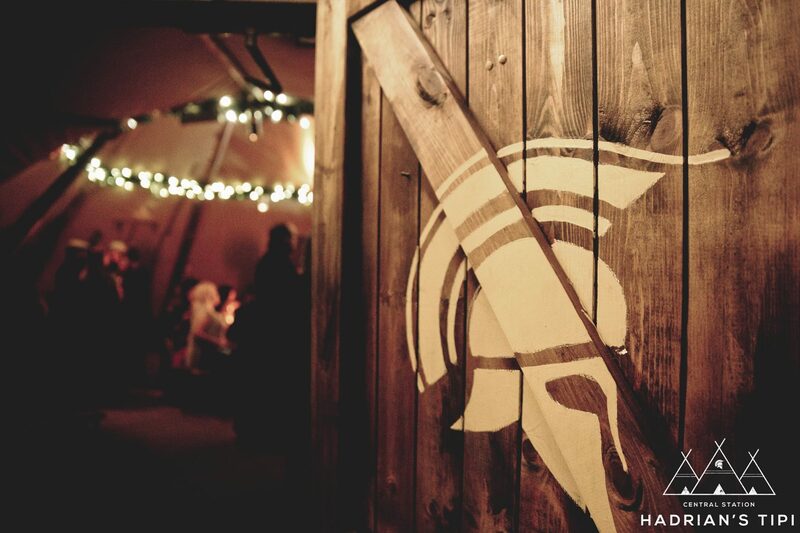 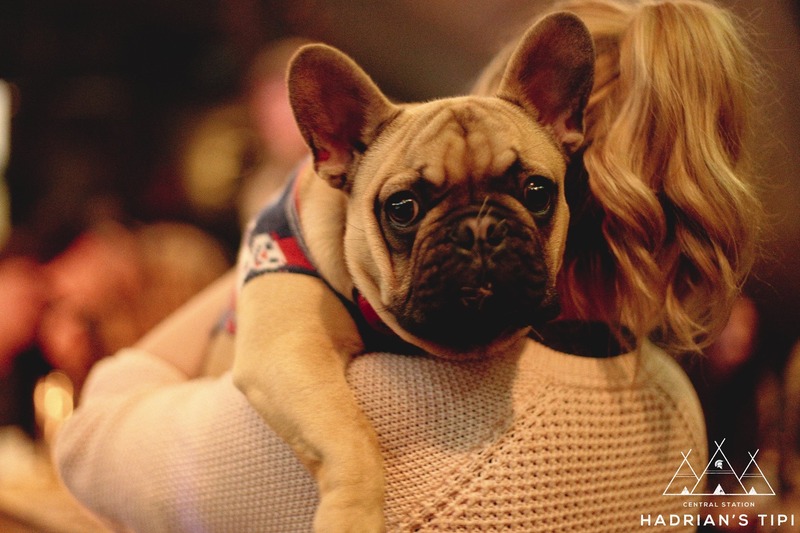 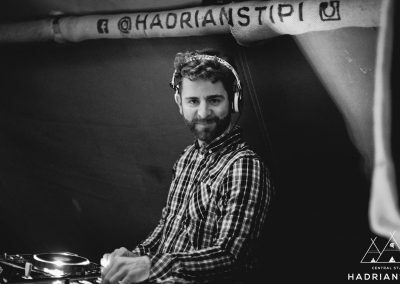 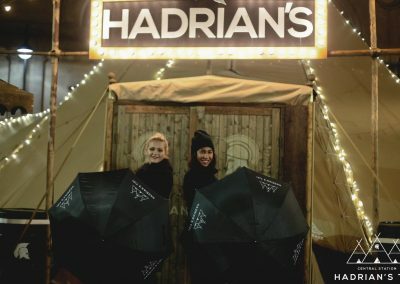 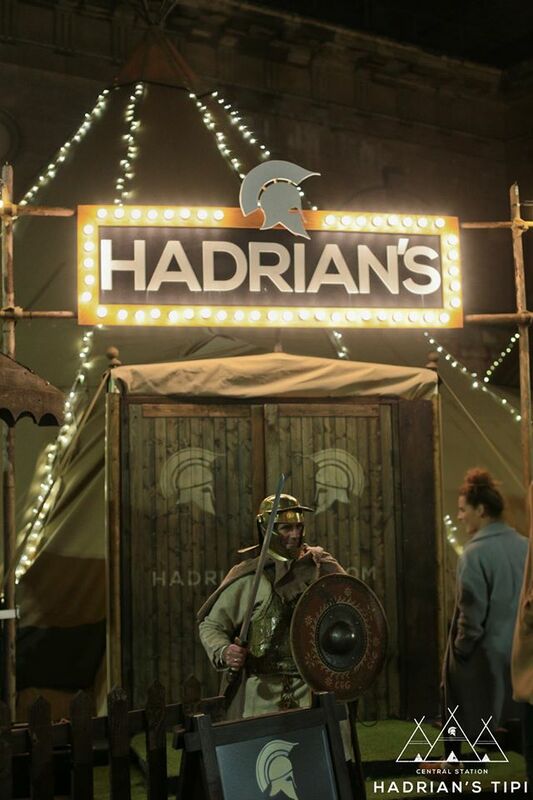 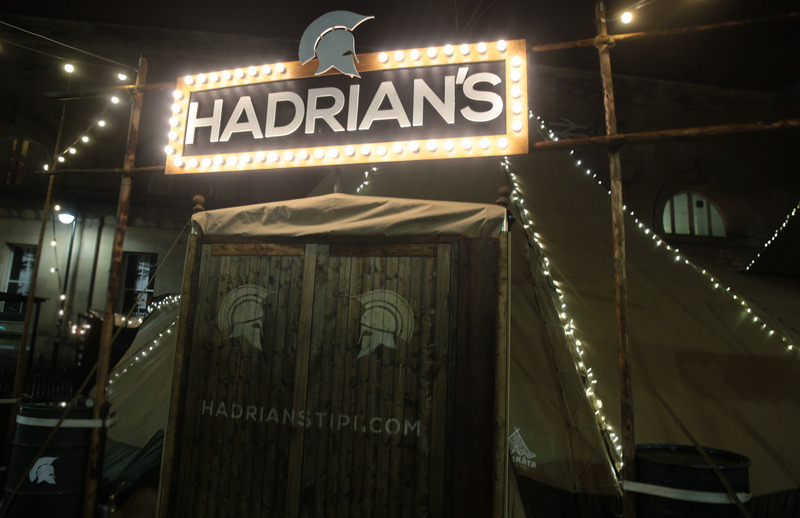 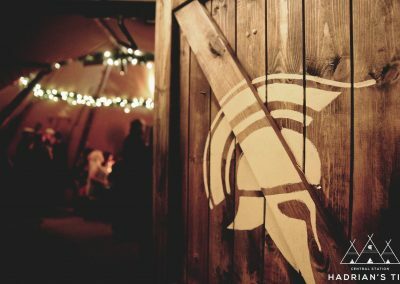 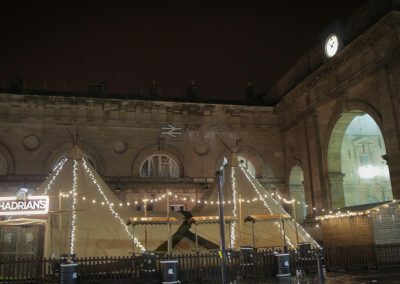 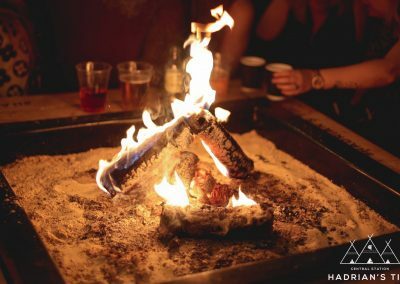 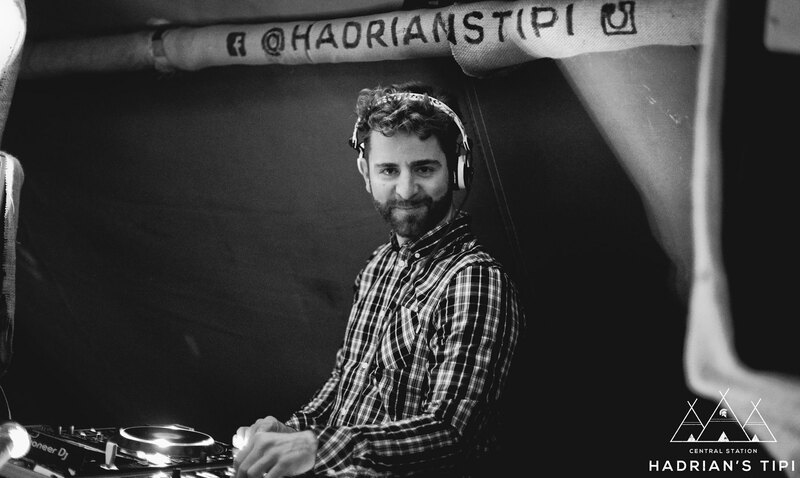 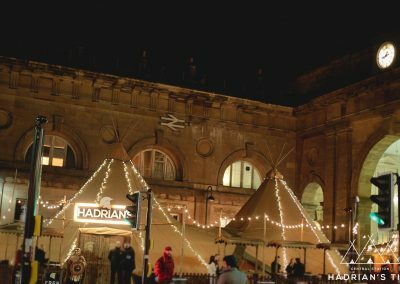 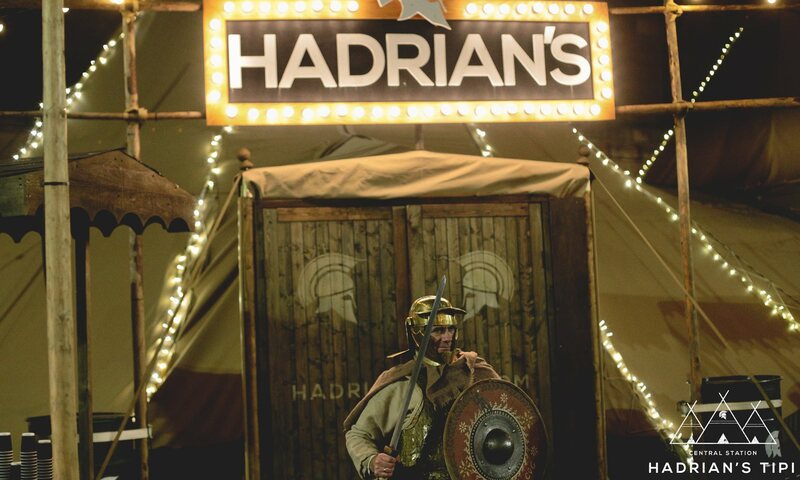 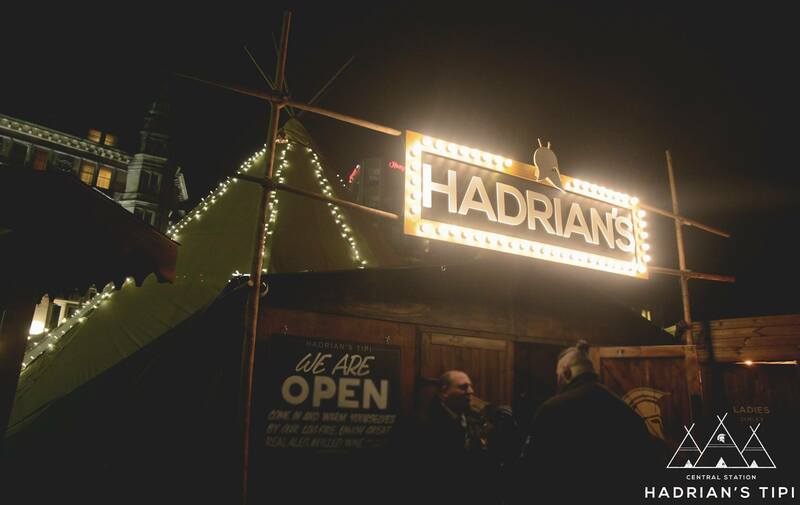 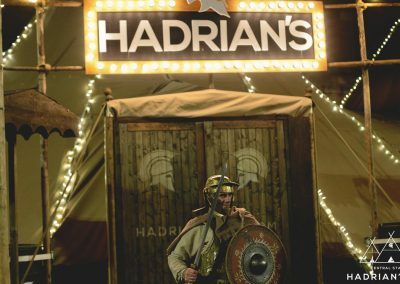 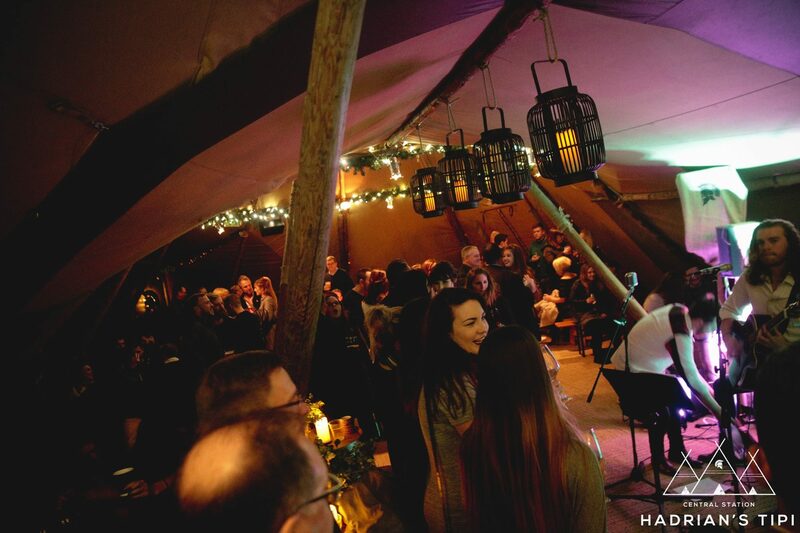 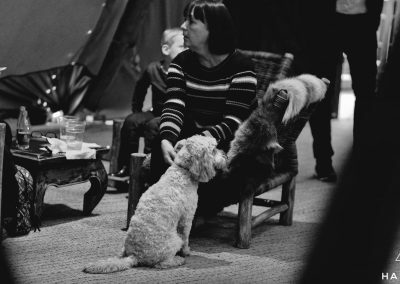 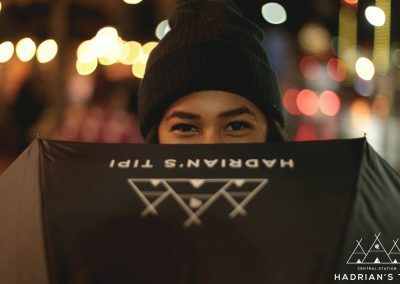 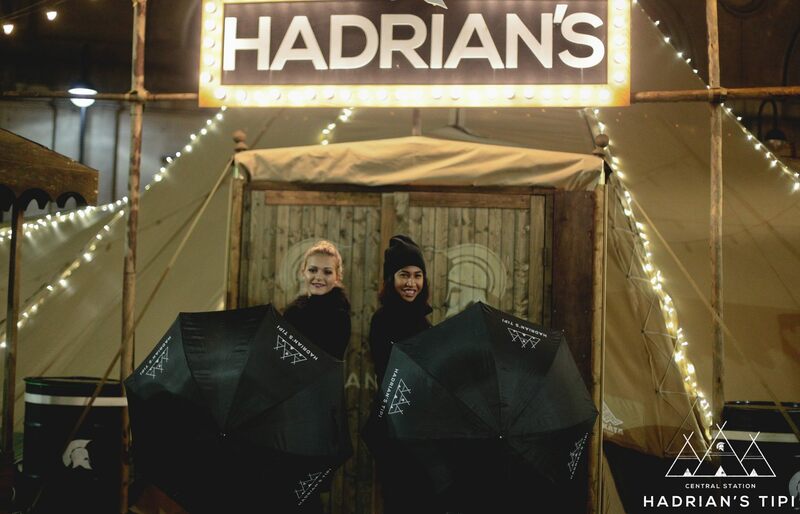 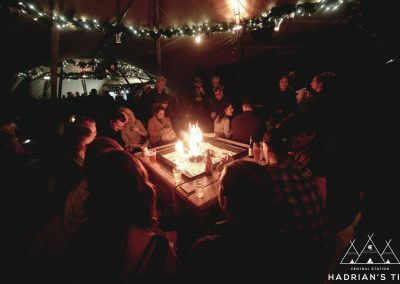 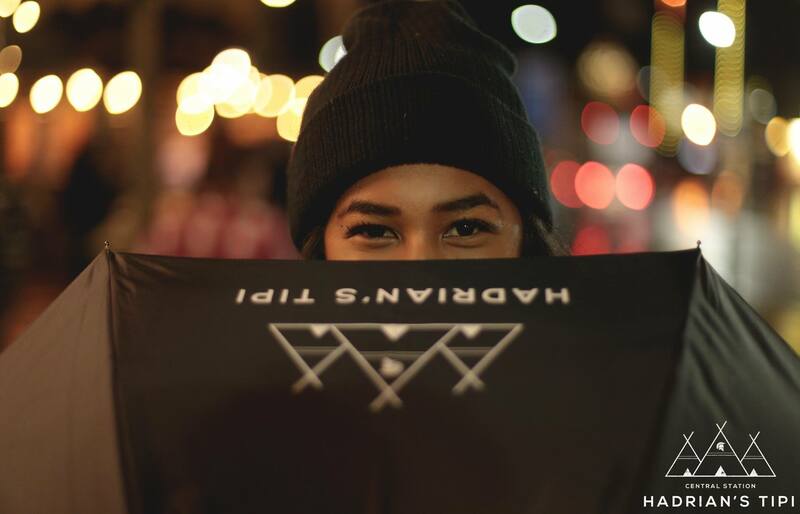 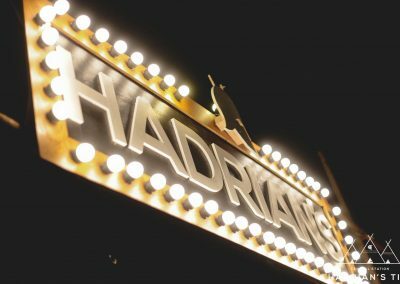 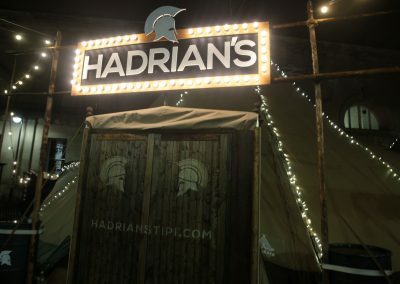 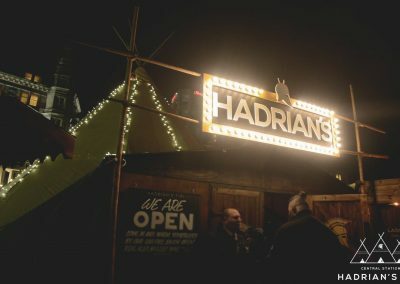 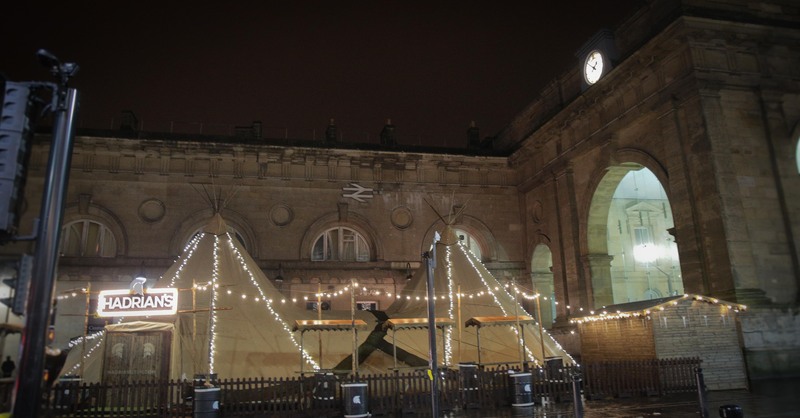 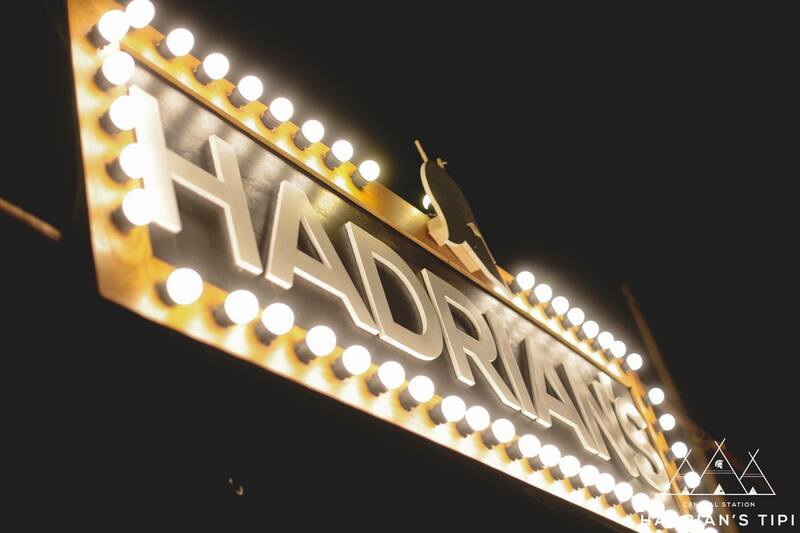 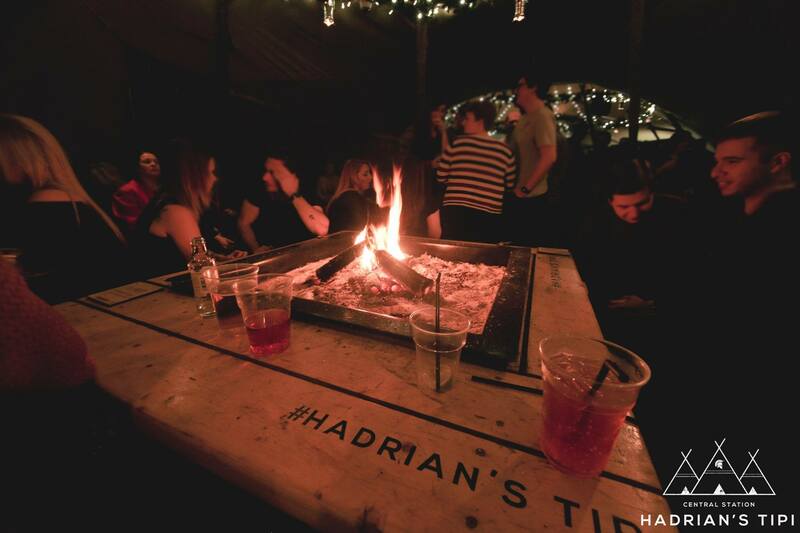 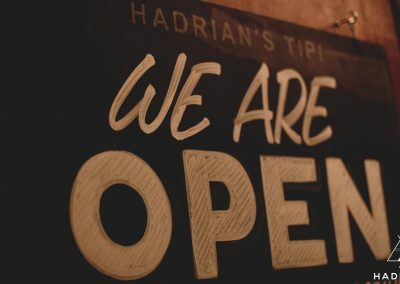 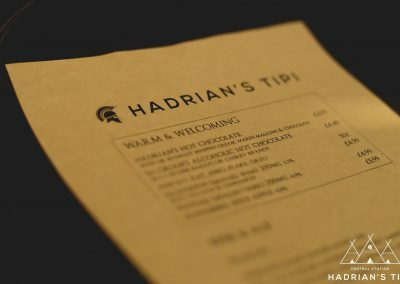 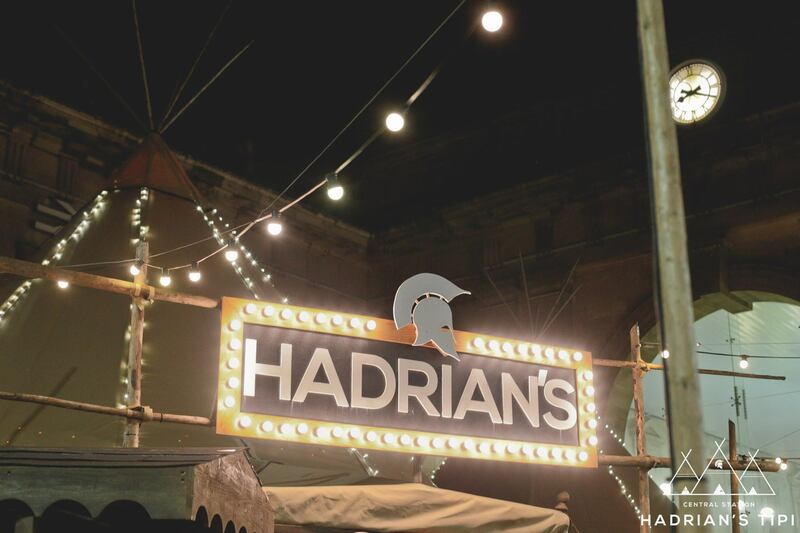 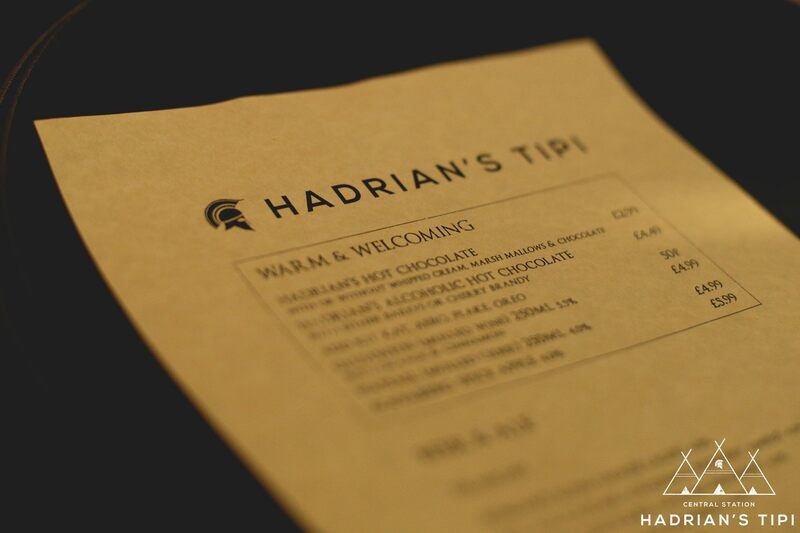 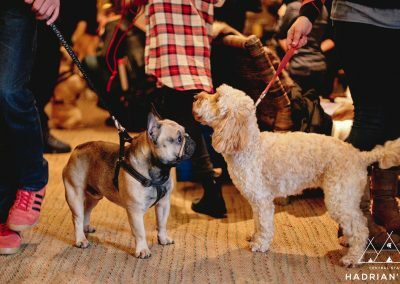 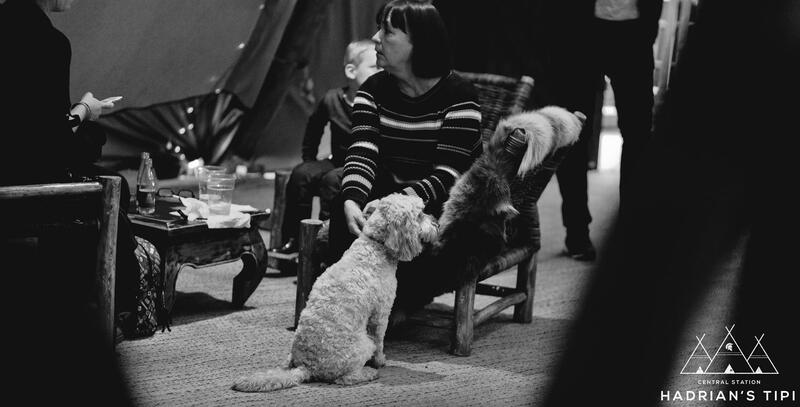 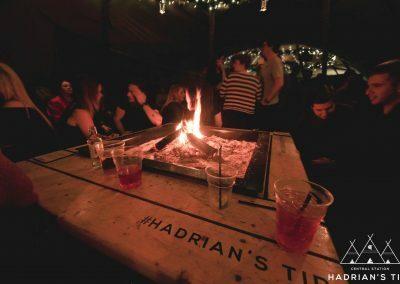 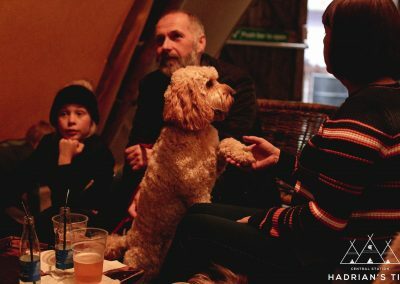 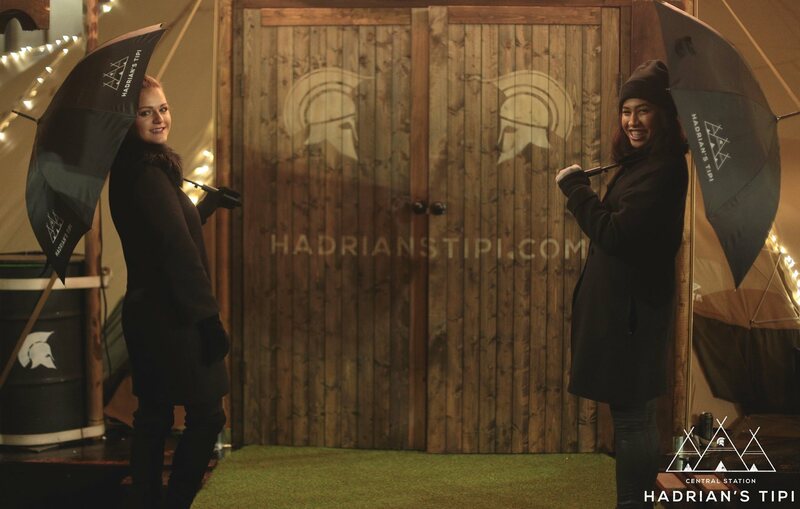 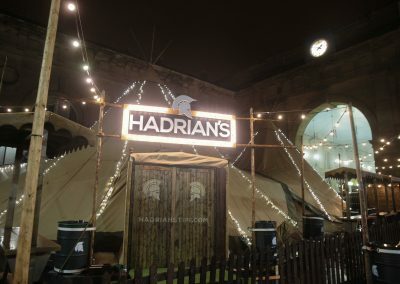 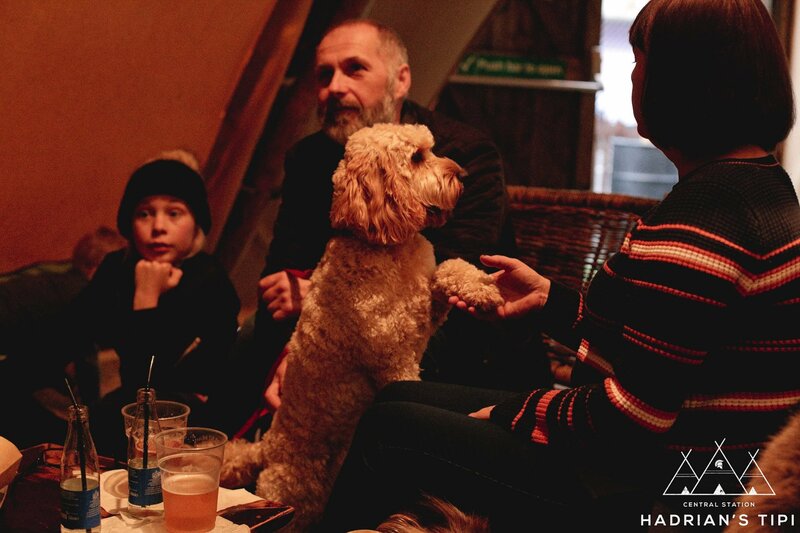 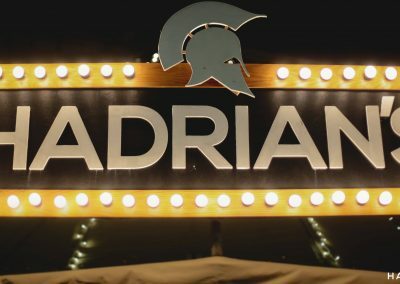 Hadrian’s Tipi is a winter pop-up retreat located in the very heart of your city. Enjoy our outdoor Winter Beer Garden with Christmas trees, atmospheric lights & outdoor shelter to protect you from the elements. 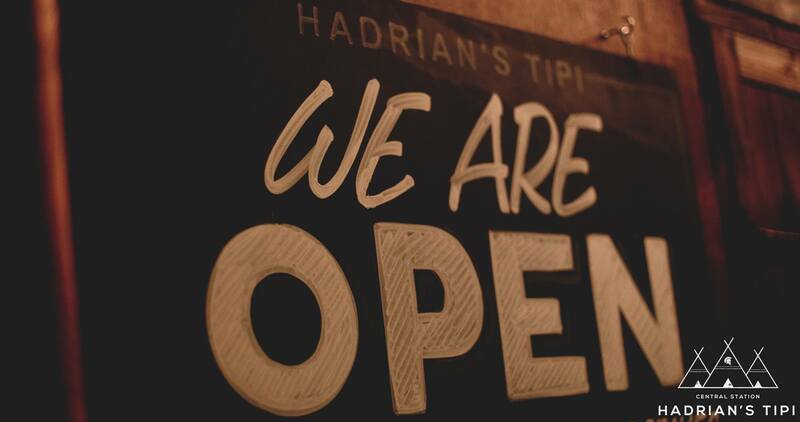 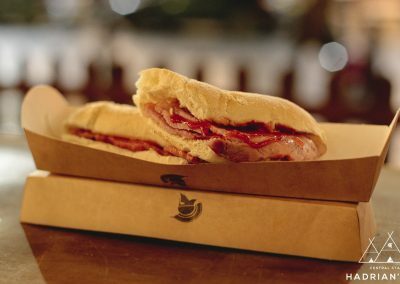 With over 40 containers including local independent retailers, health and well businesses and eateries, there’s no need to go anywhere else, we got you covered. 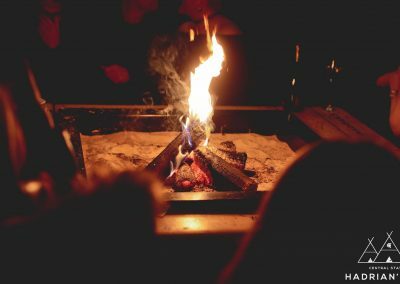 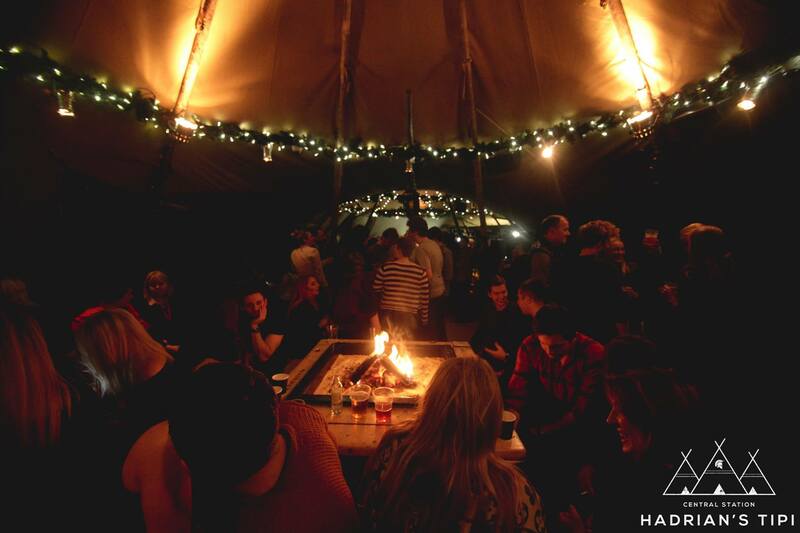 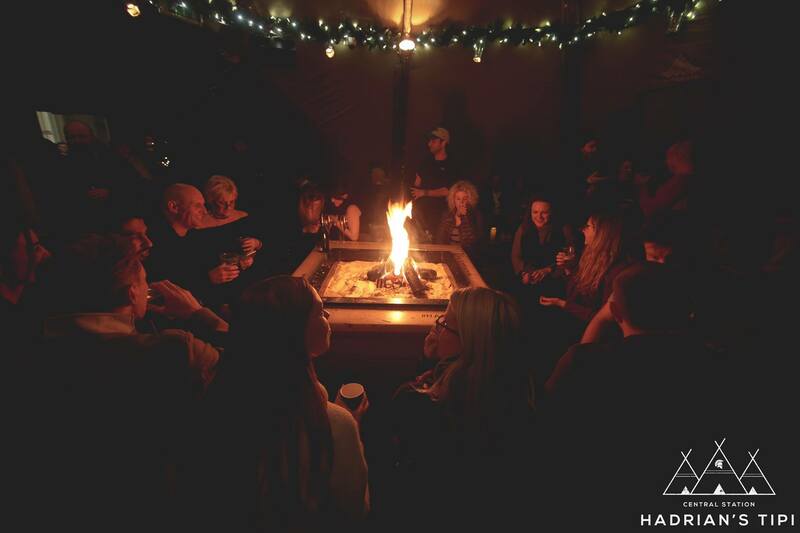 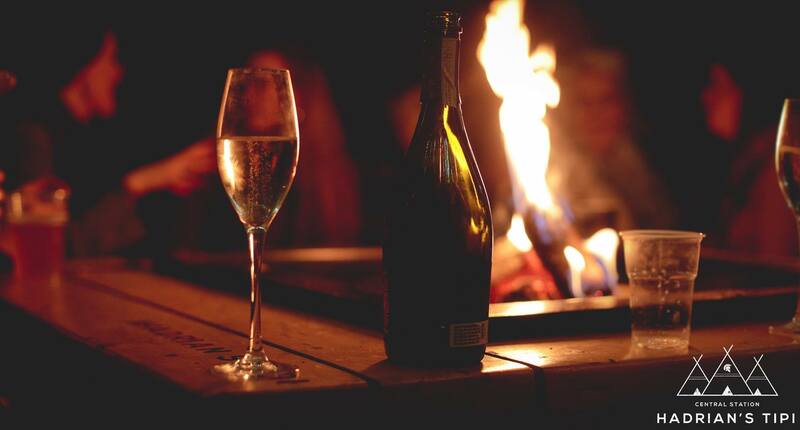 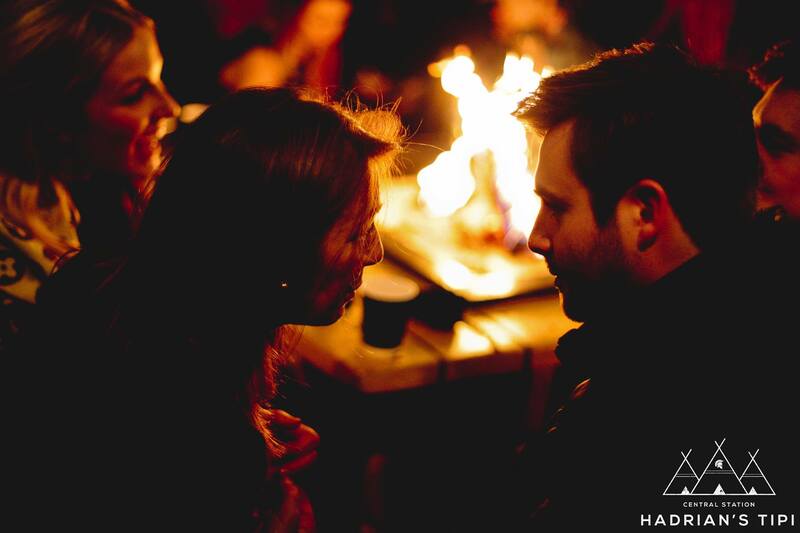 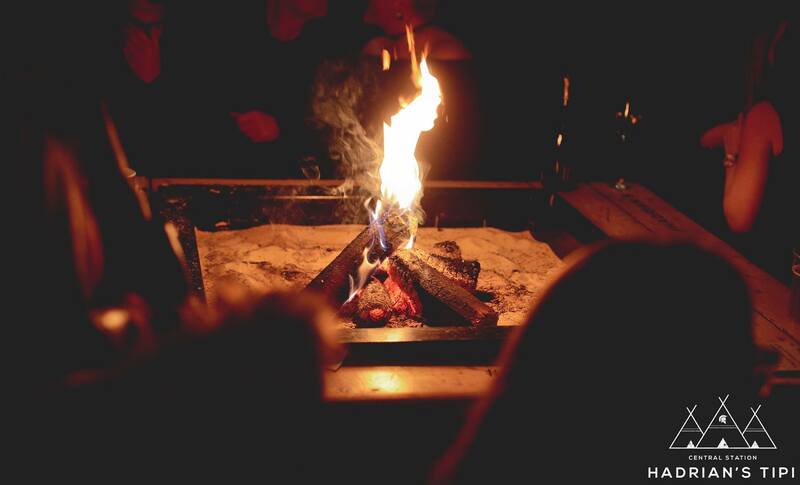 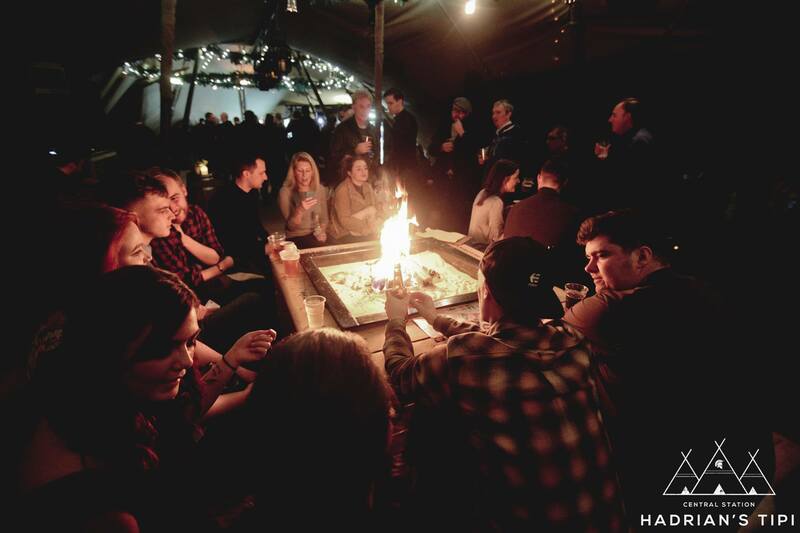 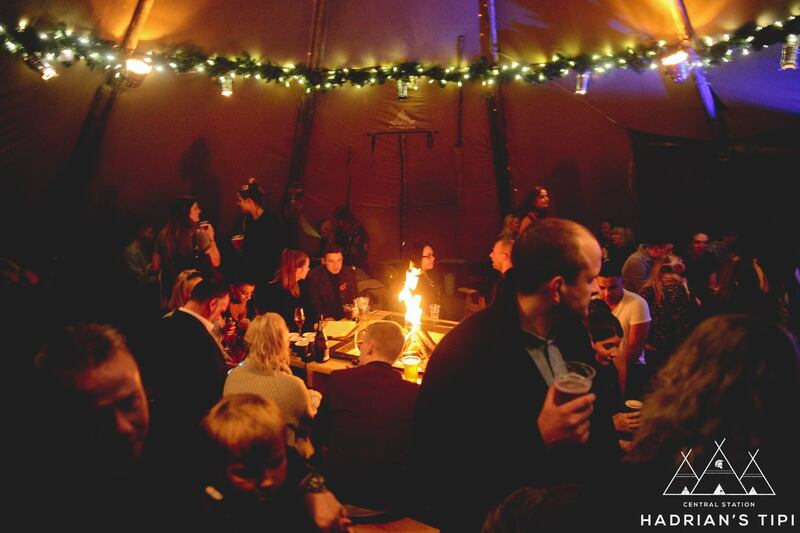 Oh and we have extended the size of the Tipi and introduced a second indoor fire pit! 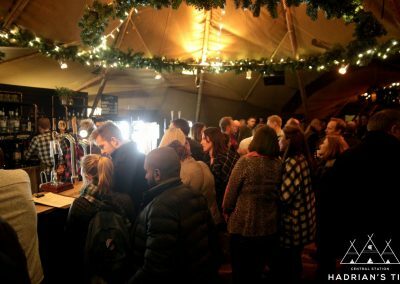 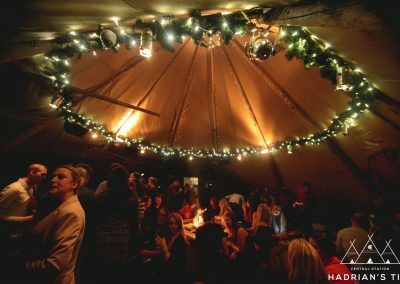 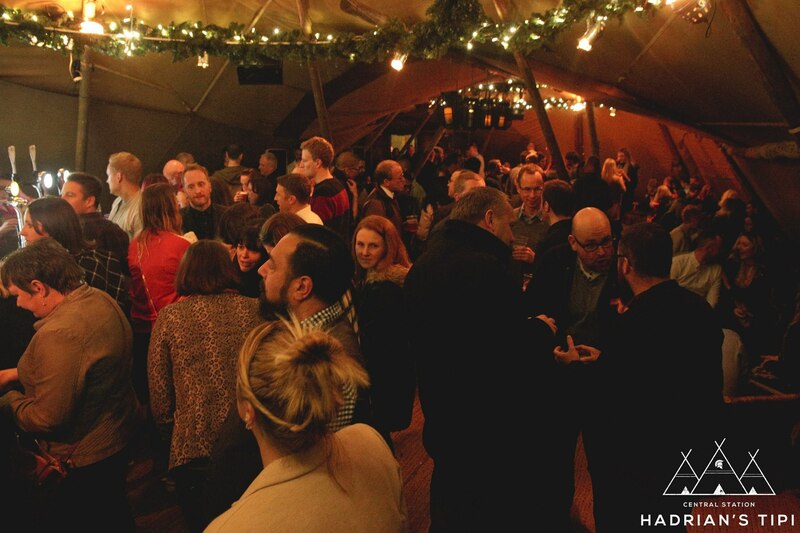 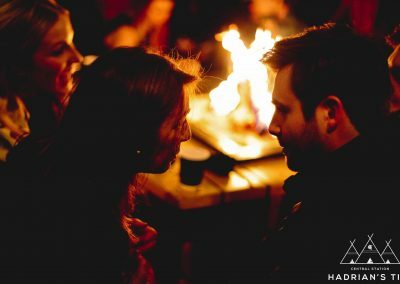 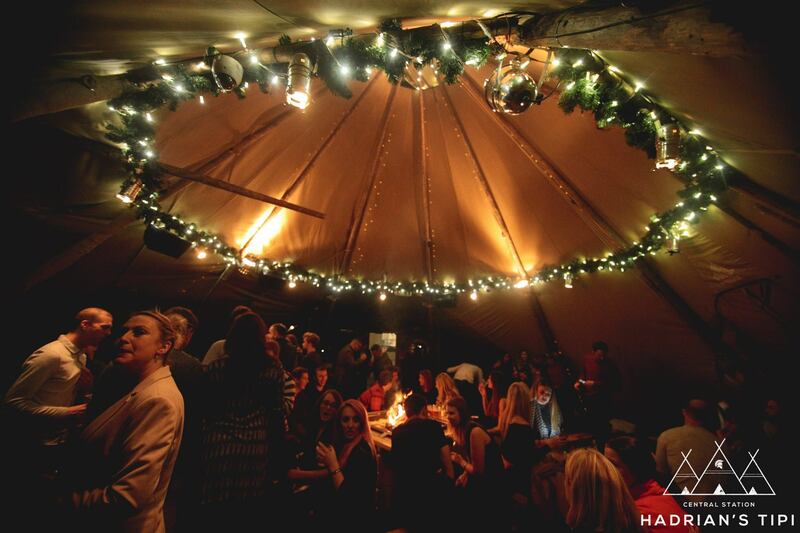 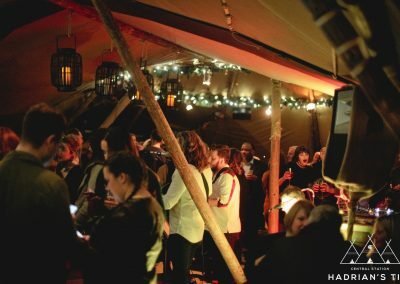 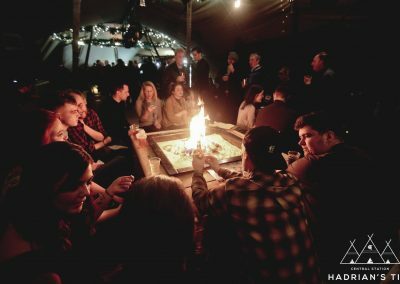 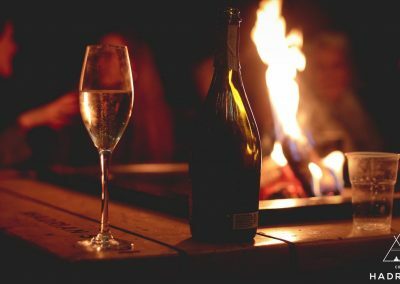 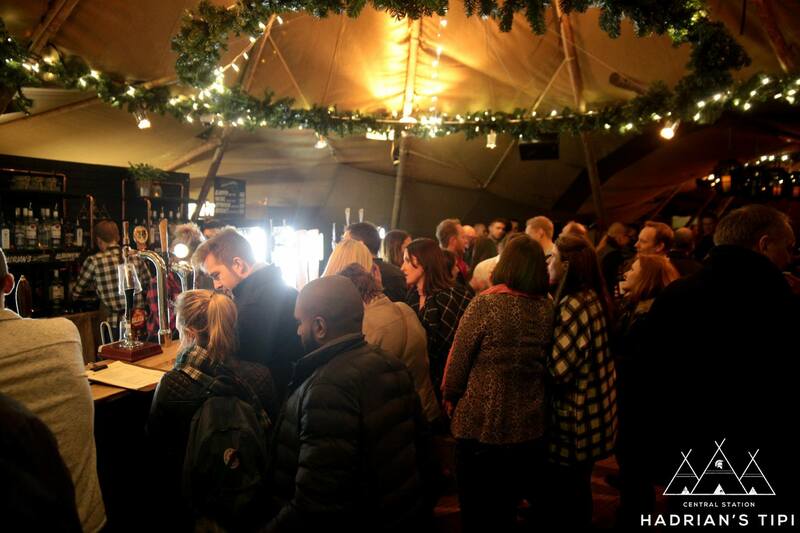 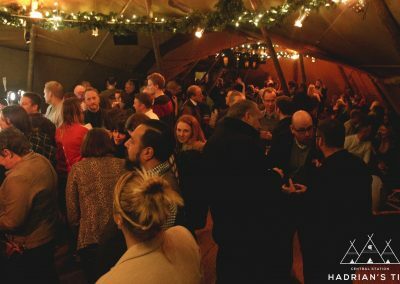 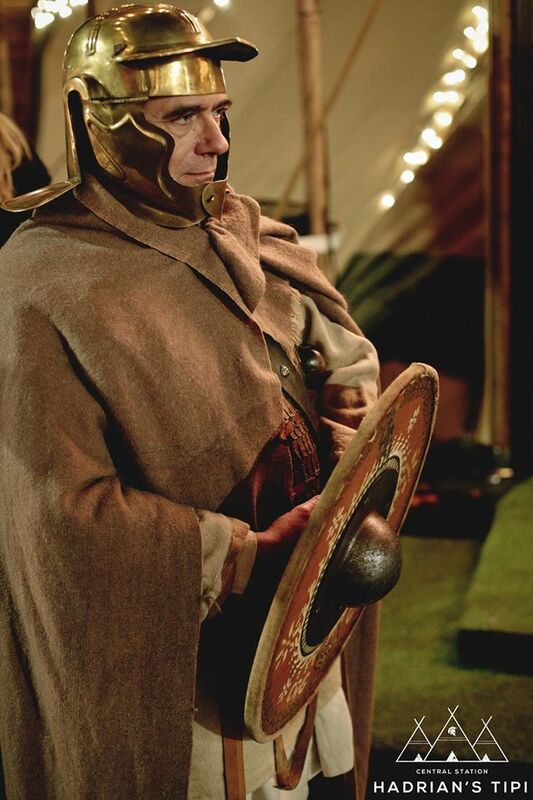 Bookings are not essential however, if you do fancy hosting a festive event at Tipi Newcastle CLICK HERE. 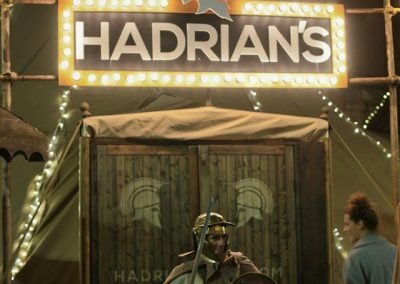 HADRIANS EN ROUTE TO SUNDERLAND!! 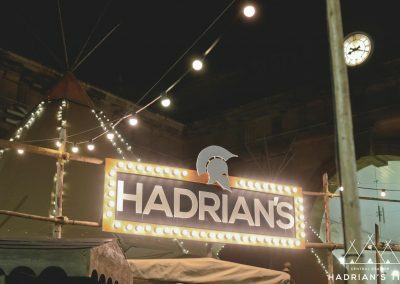 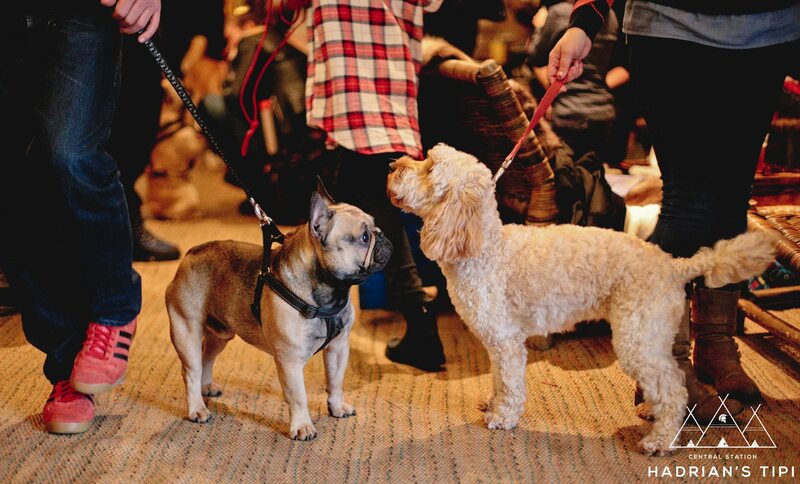 Why should the Geordies have all the fun ay! 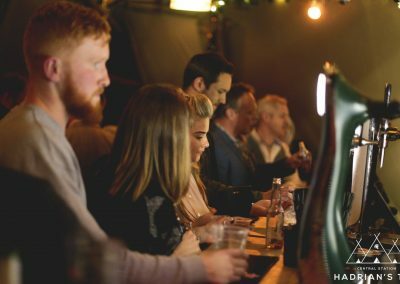 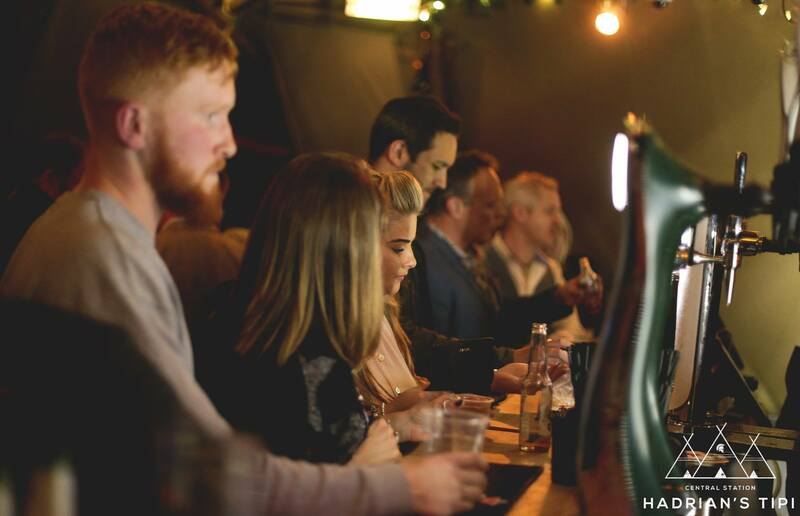 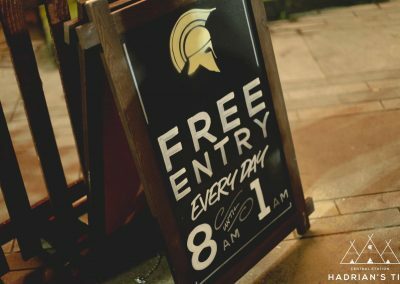 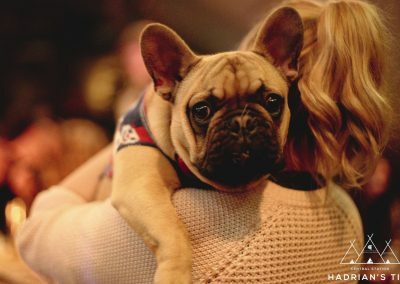 Enjoy our outdoor Winter Beer Garden with Christmas trees, atmospheric lights & outdoor shelters to protect you from the elements. 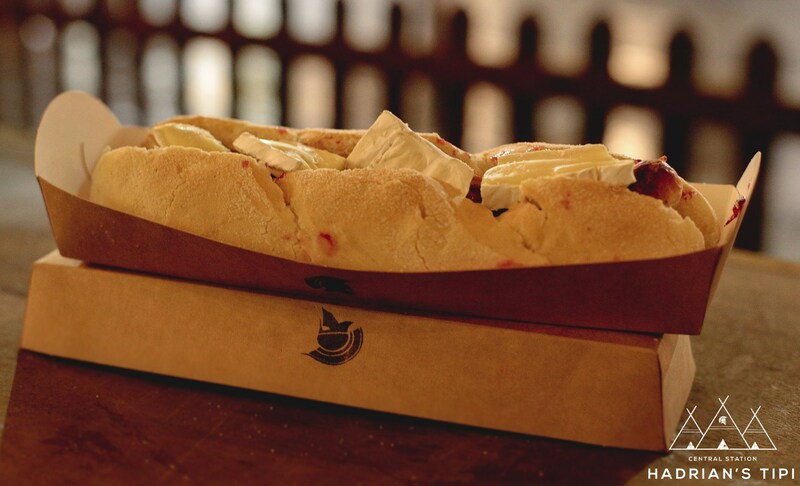 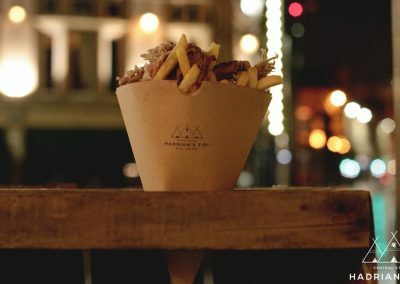 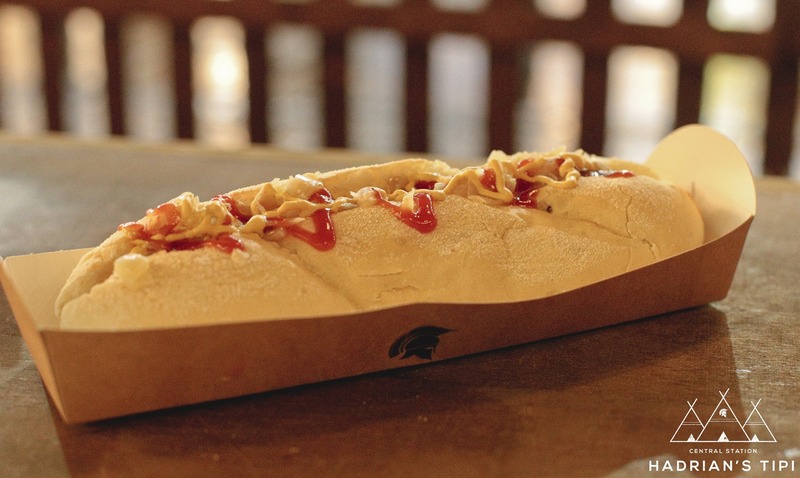 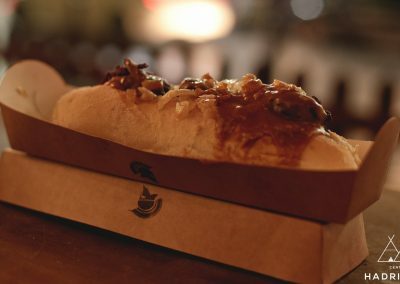 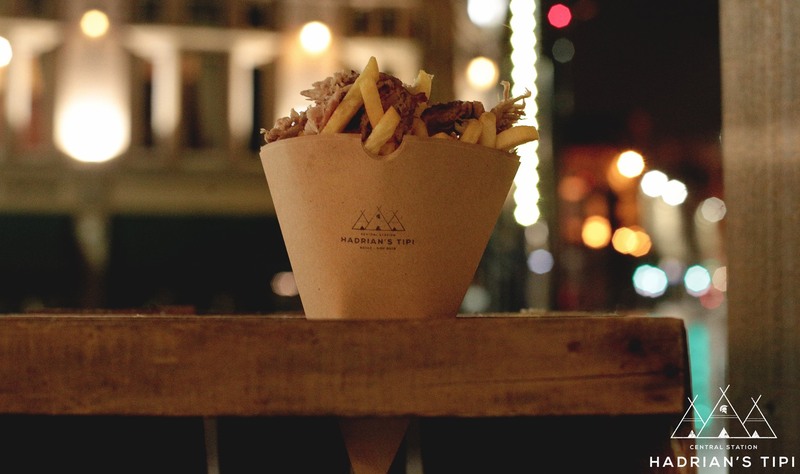 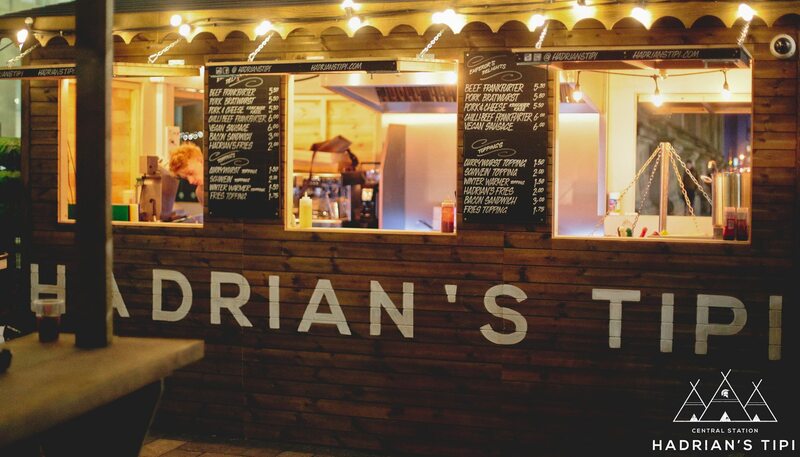 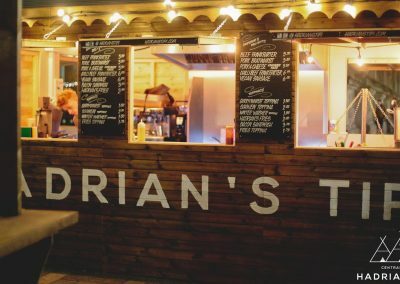 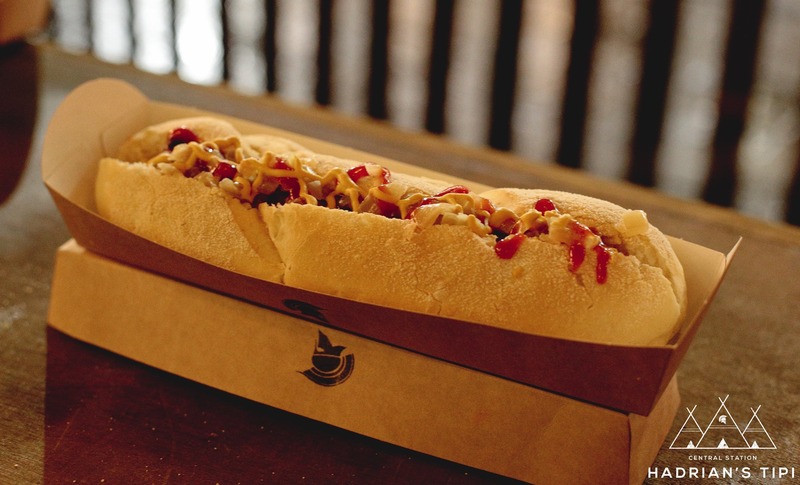 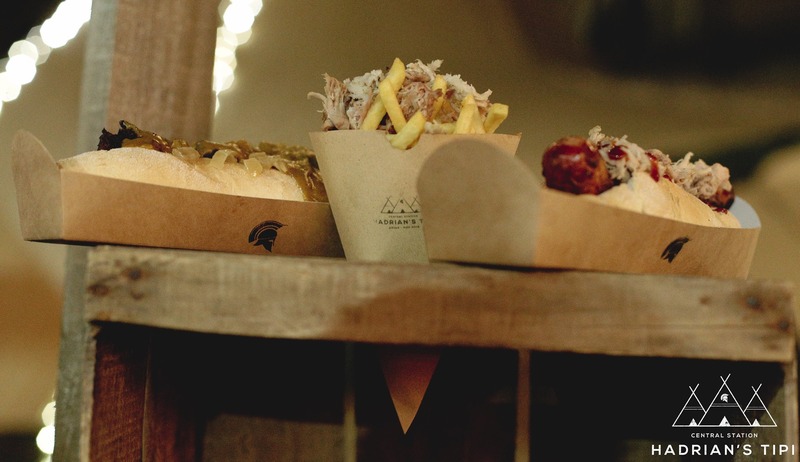 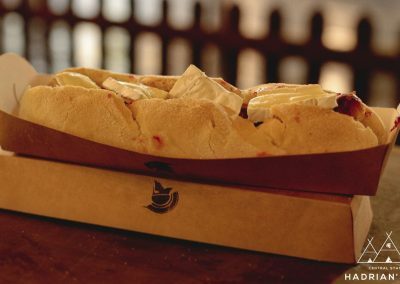 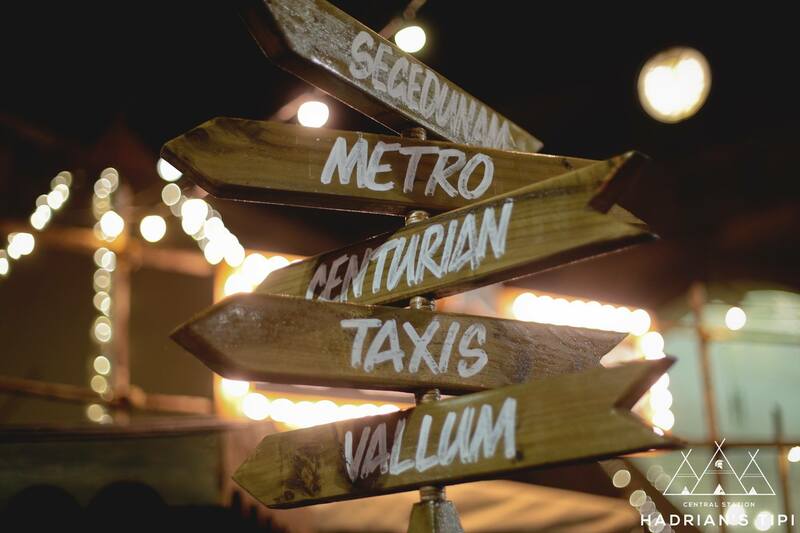 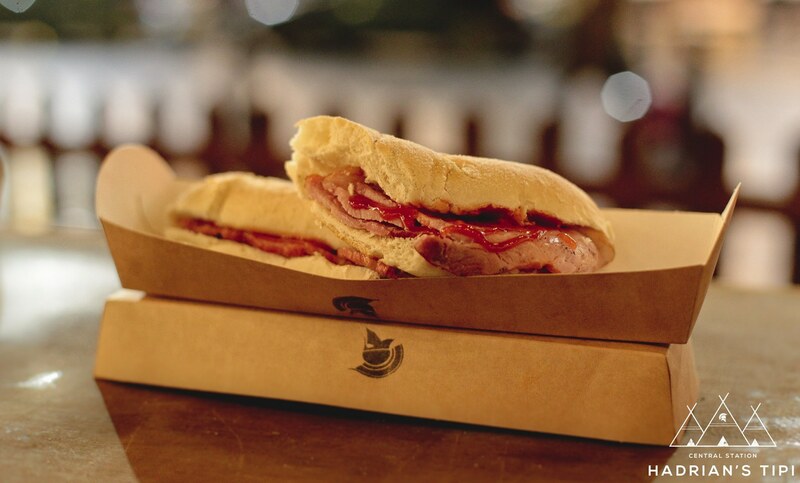 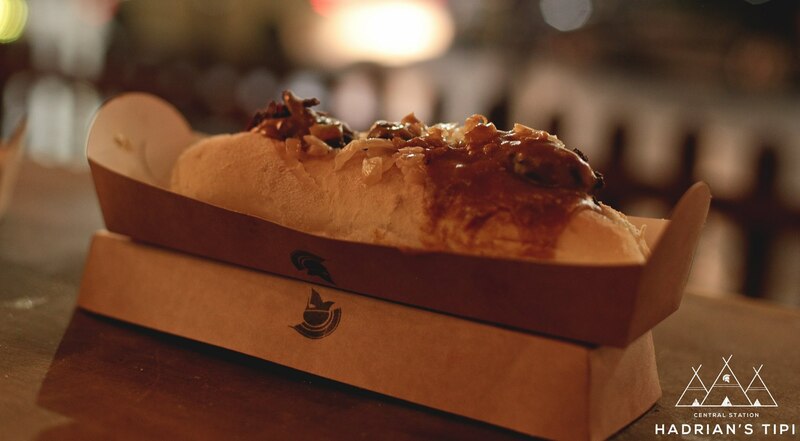 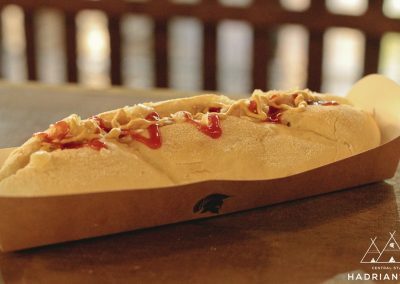 With 7 artisan street food vendors, there’s plenty to choose from. 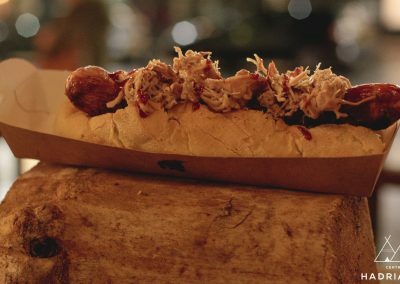 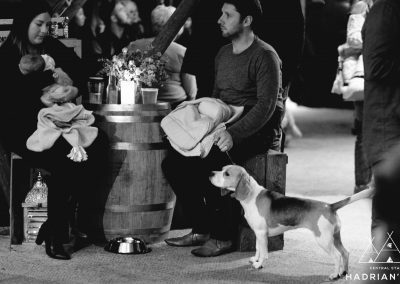 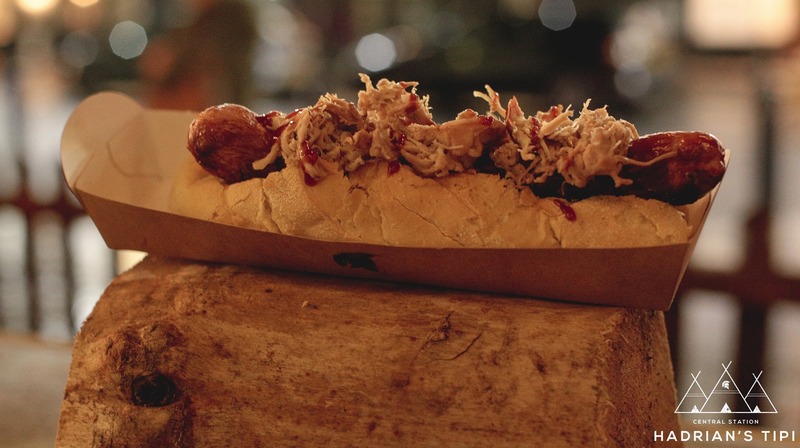 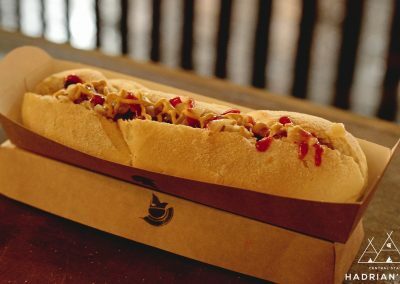 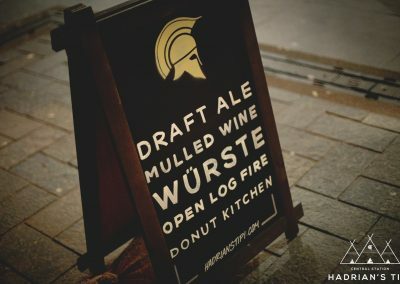 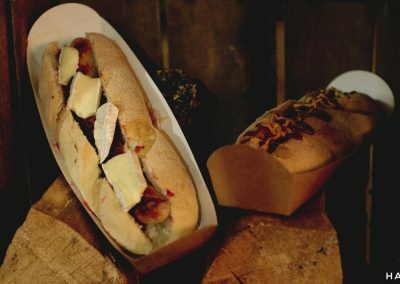 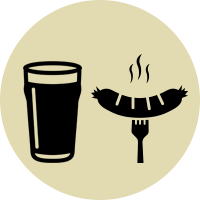 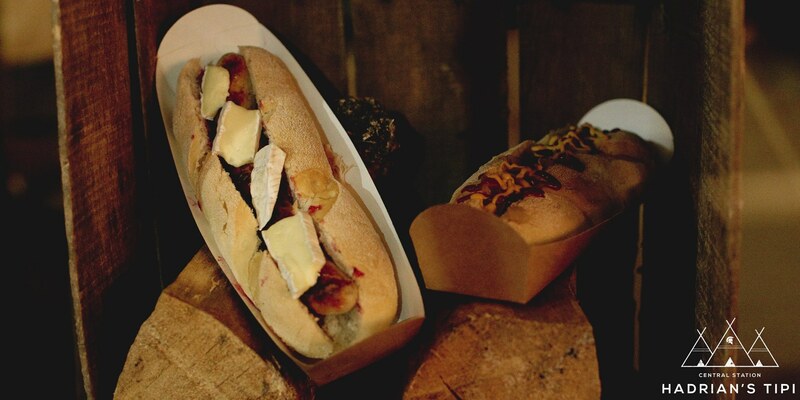 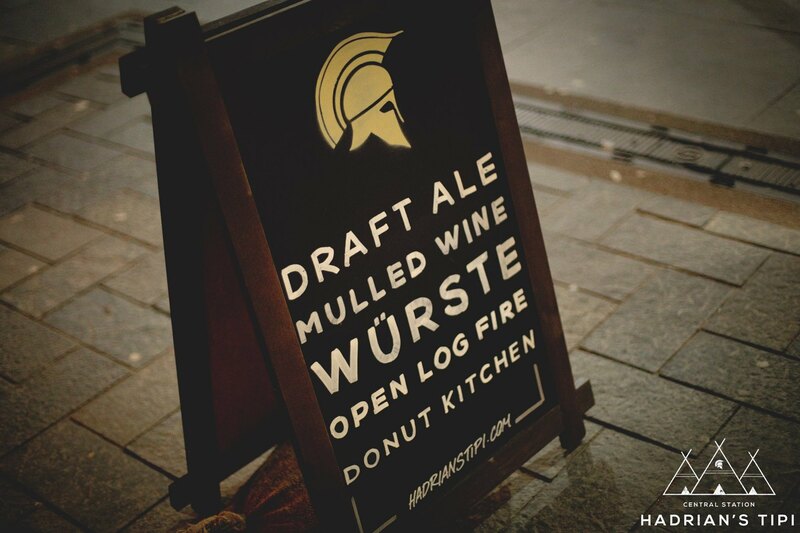 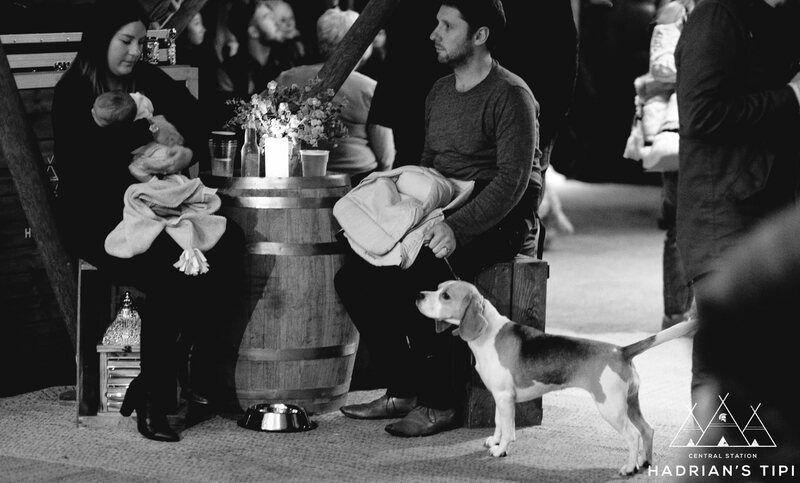 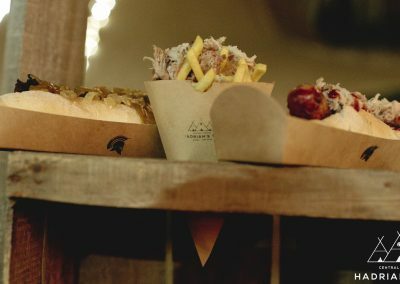 Why not feast on our authentic Bratwurst and Frankfurters flown over from Bavaria served from our large, charcoal fired, swing grill hut. 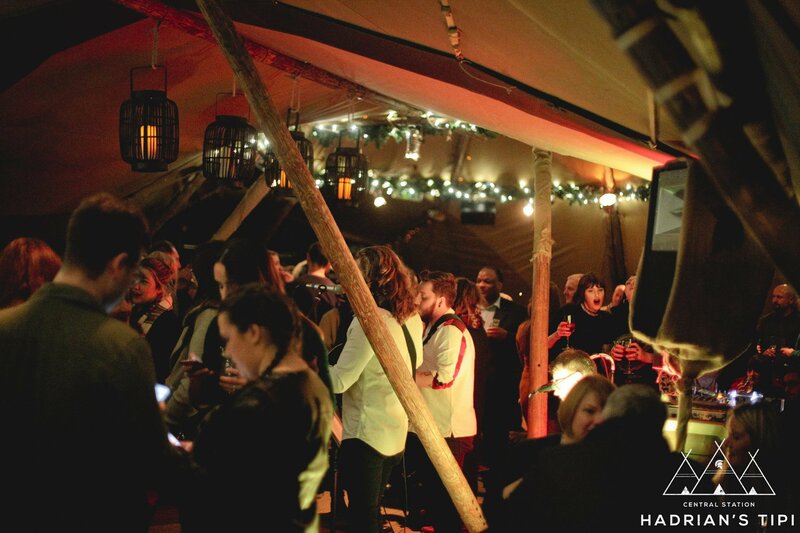 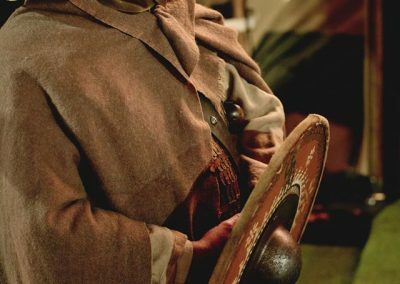 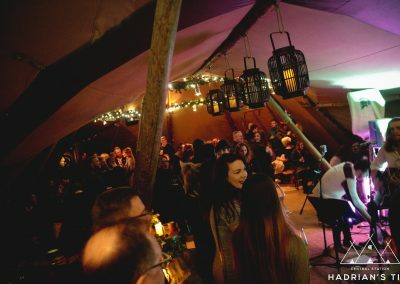 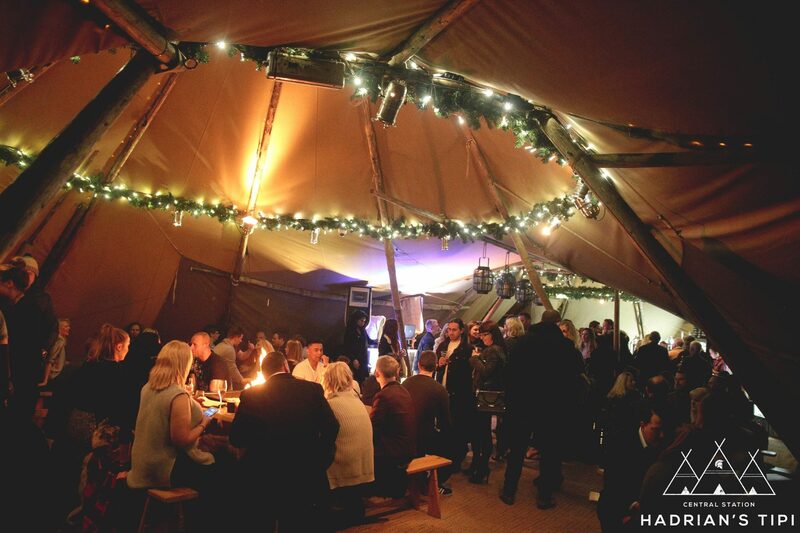 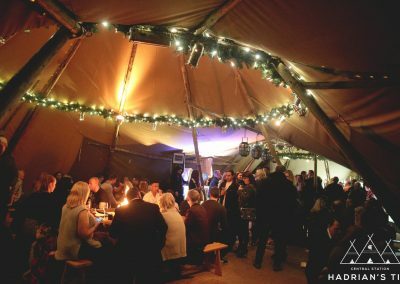 Bookings are not essential however, if you do fancy hosting a festive event at Tipi Sunderland CLICK HERE. 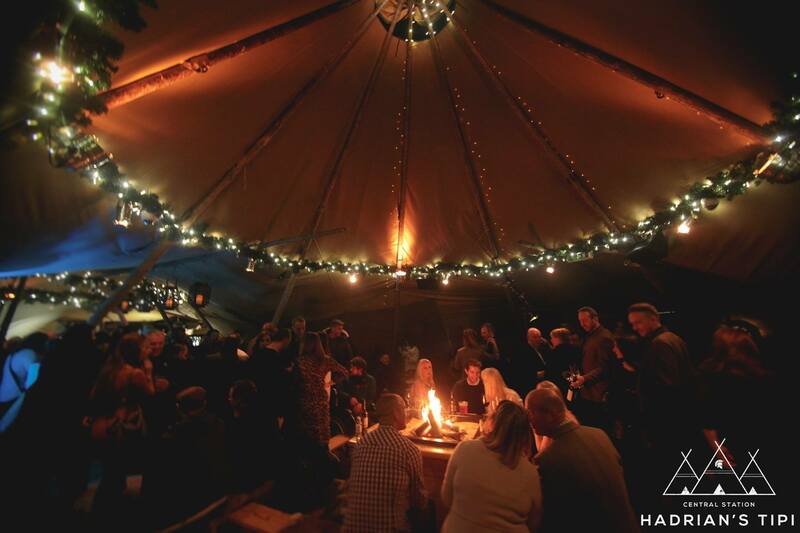 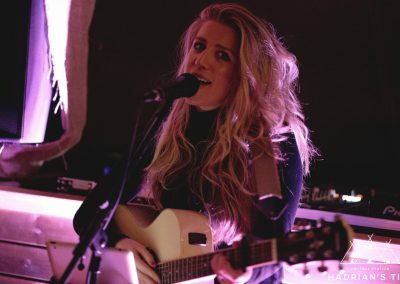 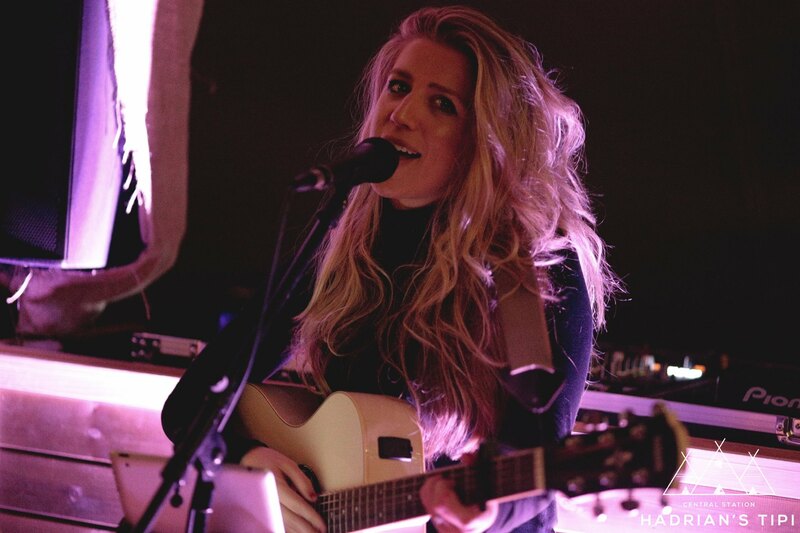 LOOKING TO BOOK FOR CHRISTMAS? 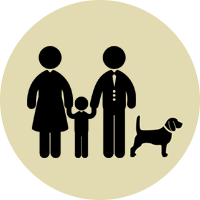 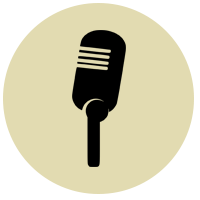 Get in touch with your group enquiry using our contact form below. 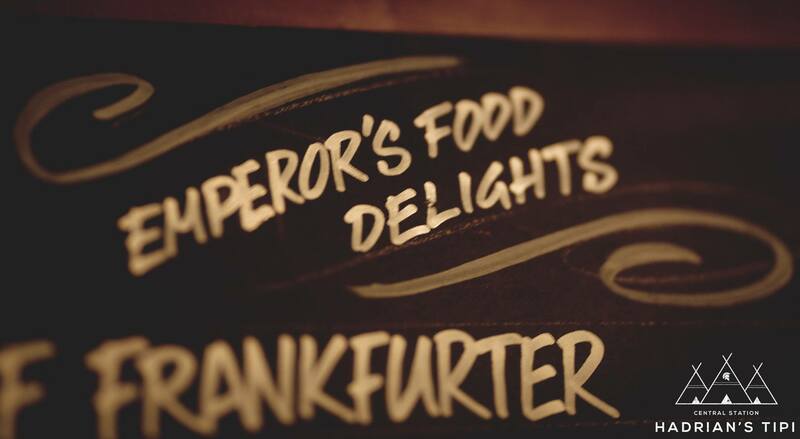 Be the FIRST to find out the Emperor's plans! 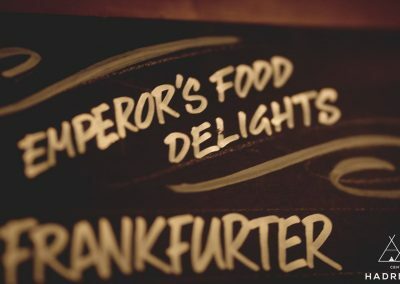 The Emperor will be in touch with his plans very soon!